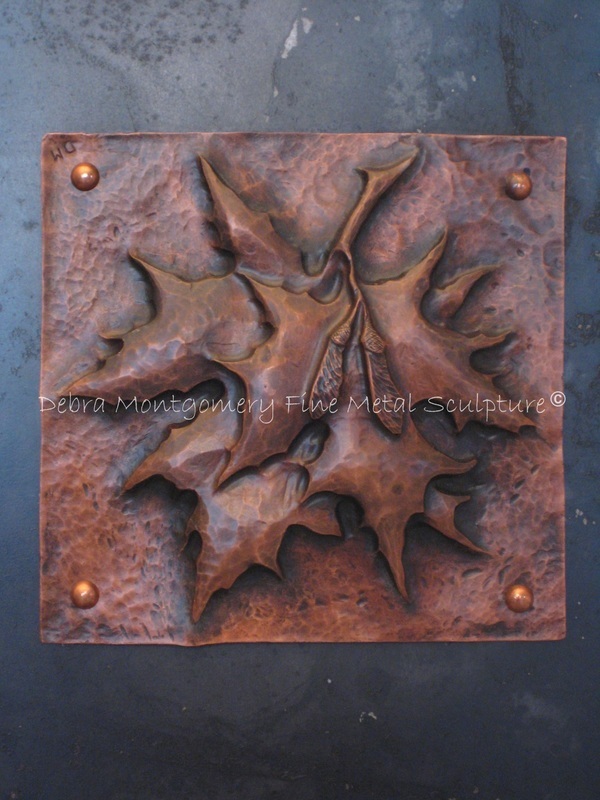 The metal forming techniques of high relief copper / metal repousse and chasing can also be incorporated into beautiful custom copper / metal decorative tiles for your home or business. I work in copper, silicon bronze, pewter, stainless steel and steel for these projects. The techniques I incorporate are forge work, welding and repousse and chasing. 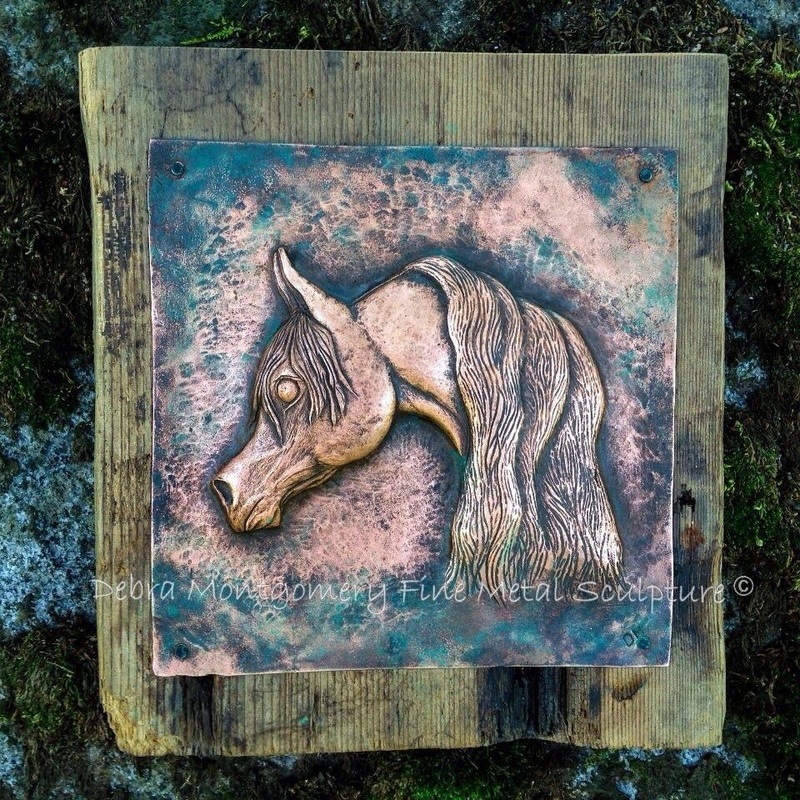 An art design of your choice (my design or yours) can be developed into individual tiles or as a series of copper / metal decorative tiles, combined with stone tiles mounted to any existing wall or designed as framed art to freely hang on a wall. My repousse and chasing designs are not mechanically pressed into the copper/metal. 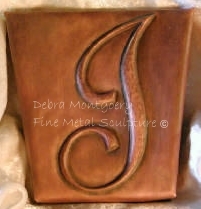 Each design is carefully hammered in by hand with various punches. While this process might be more expensive than a quick production run, mechanically pressed design, you will end up with an authentic hand-crafted piece of art. 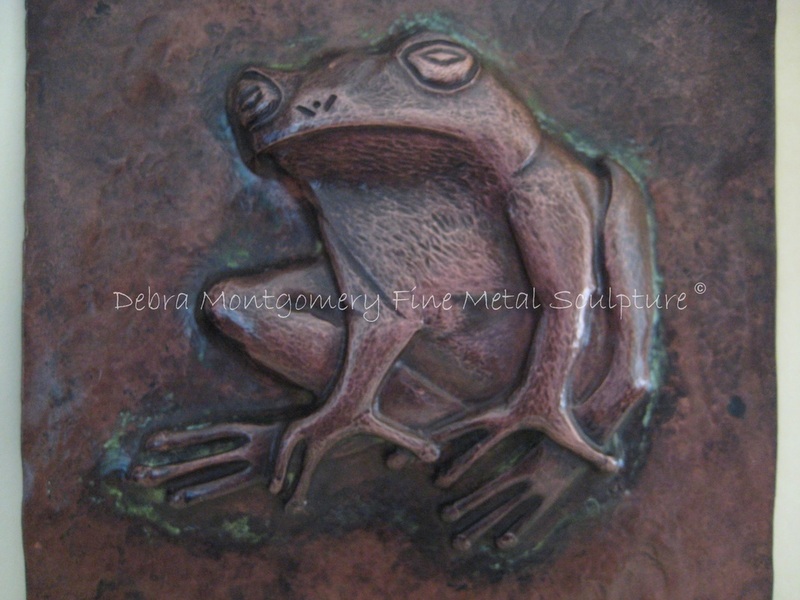 There are many various colors and textures that can be used in my copper / metal decorative tile designs - the sky is really the limit! 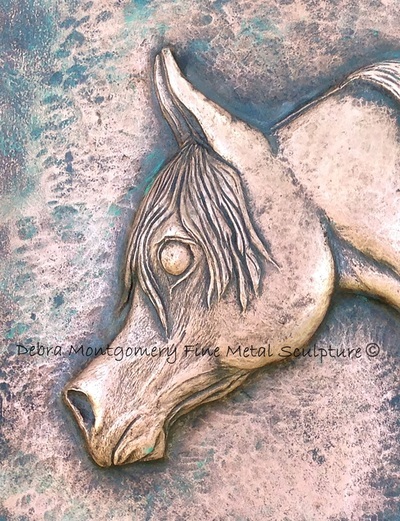 If you don't see exactly what you are looking for here on my website please feel free to contact me so we can further discuss your potential commission by metal artist Debra Montgomery!